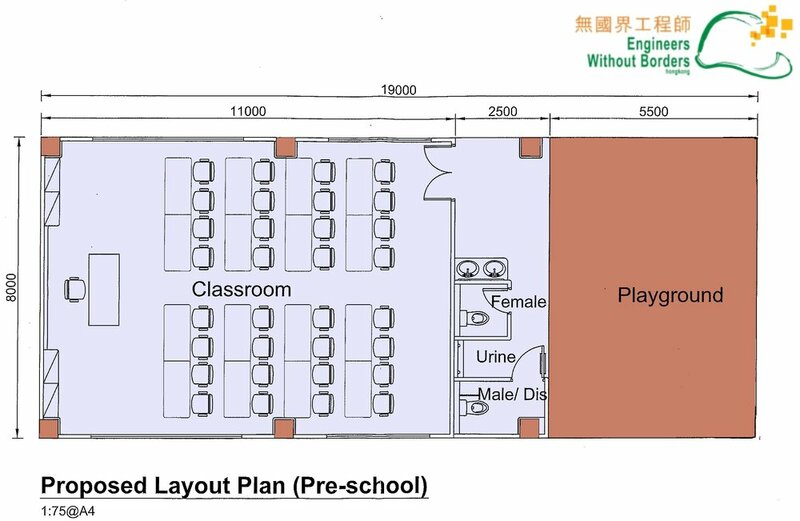 We are a group of Hong Kong engineers working across various engineering fields. We care the health and safety of Cambodia students and the social impact to the surrounding community. Kids are attending the class in the temporary shelter on the service point of AEA Cambodia in Krangyov Commune, at the south of Phnom Penh. We identified and collaborated the needs of local community through detailed assessment. We would like to enhance the community resilience with you by improving local school environment. Fullmoon Children Development Center dedicates to serving the children leaving the home from different ethnic regions, whose basic livings are unsecured. More than 300 children entirely relying on the food, accommodation and personal development services provided by the Centre. The lack of resources and maintenance of facilities in the Center directly limit the learning and growth of the children. Tachileik is a city of Myanmar Shan State near Thailand and Myanmar border at the north of Chiang Rai City. It is located near the Golden Triangle. Opium, gambling, jade sale and migrant workers crossing the border are one of the daily lives. People there has their special stories. Many kids were not taken care because of poor habit, living situation and migration life on their parents. A children center is brave to take care them on their efforts with food, accommodation and education such that the kids can grow in love and care. Besides living, kids also need to farm everyday for their food. 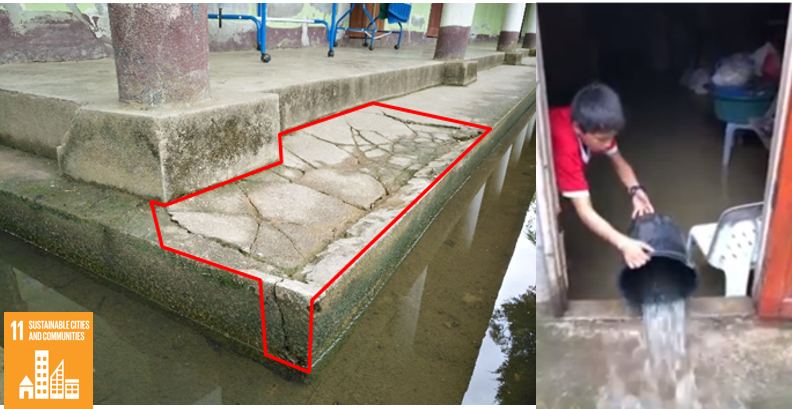 On recent years, houses of this children center premises are very dilapidated due to flooding after higher site formation on neigbhourhood and poor drainage system. The food on the farm and storage room, and also structures of dormitory and classroom deteriorates during flooding. During the exploration trip to Myanmar in mid June 2018, we have visited Library of Myanmar Engineering Society Yangon headquarter office and identified the need to provide better quality education to students with update technical books and materials. We care the Quality Education as the goal on UNSDG especially in engineering aspects which creates impacts of technical competencies enhancement to the future leaders. More technical textbooks provisions can provide a better environment for students participation into research and development of scientific and engineering knowledge applications into community and then motivate the local innovations. Slums and informal settlements continue to proliferate across Myanmar, even in Yangon city. Located in the western part of Yangon, Myanmar, Hlaing Tharyar Township is one of the biggest and also the most populated township in Yangon city. To look for better lives and escape from rural poverty, people move to the Myanmar industrial zone for employment opportunity every year and many of them end up in Hlaing Tharyar’s slums. However, the living conditions there are poor. Basic sanitation infrastructure/ facilities including basic drainage, waste disposal facilities, electricity and clean water supply are almost non existent while cramped houses, sewage water stagnates in open surface drains, narrow lanes, and heaps of garbage are commonplace. After our on-site investigation in June 2018, EWB-HK is exploring practicable projects to contribute to community developments in the Hlaing Tharyar’s slums. Mission Possible Cambodia School is located at Takeo province of Cambodia, housing 600 children in poverty and the only primary and secondary school in the village. After 10 years operation of the school, there are flooding and electrical engineering challenges. The flooding during the wet season between June and September affects the operation of school. 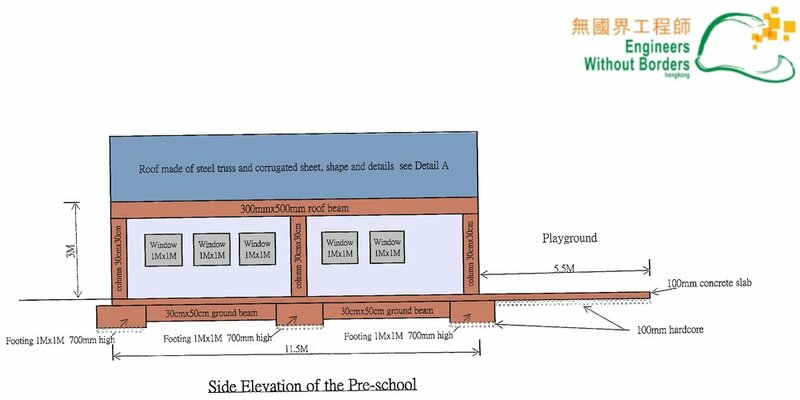 Children needs to walk through the muddy and sometimes flooding area from entrance gate to the school campus. Mission Possible-Hong Kong and EWB-HK are dedicated to alleviate the flooding situation by proposed drainage on the onset of upcoming wet season in May and then improve electrical system to reduce potential hazard. On disadvantaged communities, people always get access to poor hygiene & sanitation, unclean drinking water sources and built up inhygienic living habit. Handwashing and water boiling is not common. People in village prefer drinking undergroundwater or purchasing purified water. Drinking water expense is significant to their daily lives. While some are facing scracity of drinking water and serious food security with polluted water. We are gathering devoted volunteers interested in or experienced in WASH to design the protype with Myanmar partner organization. Different kinds of profesions are welcomed to be one of us. Doves Children’s Home is located in Tachileik, Myanmar housing children in poverty. As it is built beside the river bank, the children’s quarter is often bombarded by the flooding water during the April to September rainy months. Teachers use different kinds of method to protect Doves Hostels from damage of flooding on the river embankment but in vain. Sowers Action and EWB Hong Kong are gathering devoted volunteers to build a Gabion wall on this service trip to protect the river embankment before the onset of upcoming rainy season.